Excellent!!! I can't wait to try this Cake. Very Informative- lot's of great tips to. 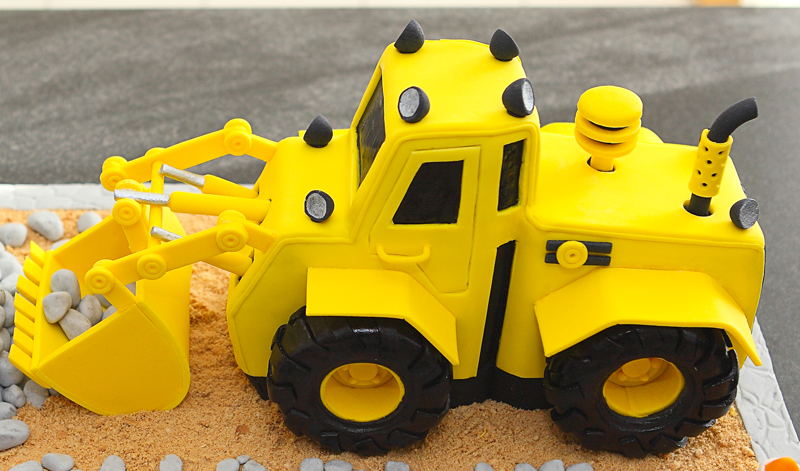 You’ll be moving cake crumbs in no time with this 3D Digger Cake tutorial. First, we will discuss the provided guides and plans to make sure that you stay organised through out the process. This tutorial has many little parts to make so it’s a good idea to double check with the parts list to make sure you don’t miss anything. Then we will shape the cake using the templates, and create all the small parts out of fondant. After all the parts are made and left to dry, we will coat the cake with fondant, and attach all the parts to assemble the cake. 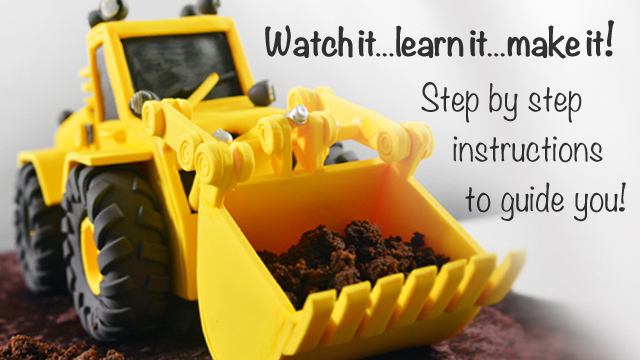 In this tutorial, you will see how to turn something complicated, into something simple that looks complicated. 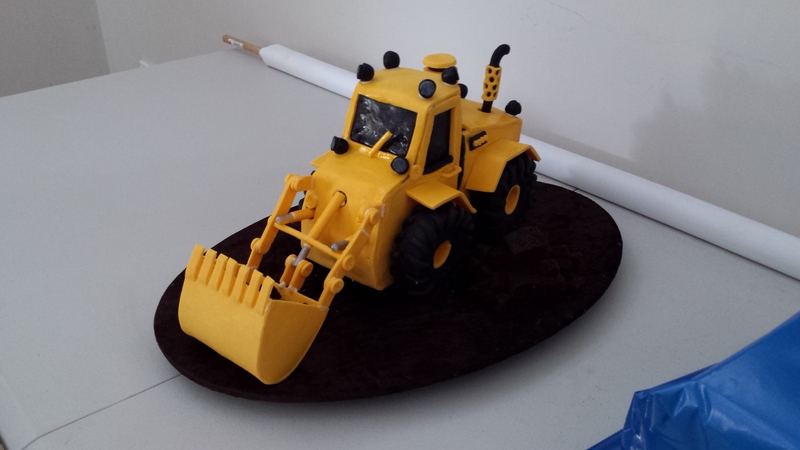 This PDF contains 10 pages and consists of actual size orthographic projections of the 3D Digger Cake which can be used to create templates from. As well as a colour coded parts list that guides you in sequential order to make it easy to stay organised when making all the parts. 55cm x 35cm rectangular cake board covered with dark brown fabric and plastic (cellophane). 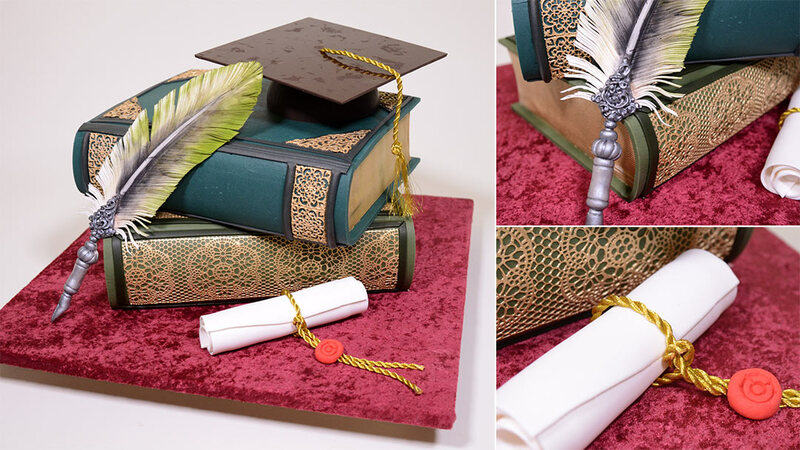 Watch this tutorial on how to cover a cake board with fabric. 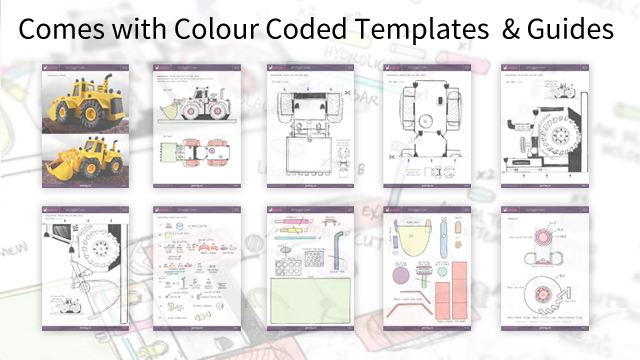 Print all pages of provided PDF course material in full colour to take advantage of colour coded guidance. 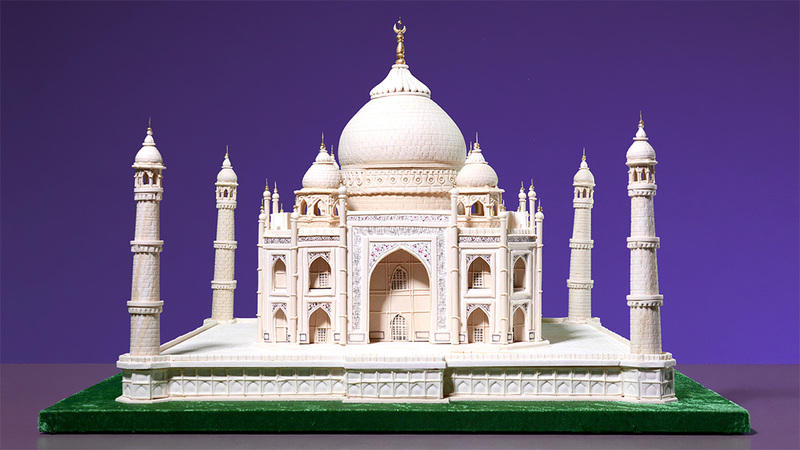 Please subscribe or purchase this tutorial to view a rotatable 3D visualization of the cake part of this tutorial. Another question … and I admit that this one is probably a bit strange 🙂 A branch of my family won’t eat cake and all of the delicious sweet stuff that goes along with it. But I really want to make this for my grandson. So I thought of using a bread recipe that I have instead of a cake recipe and to do the filling with peanut butter or something similar. 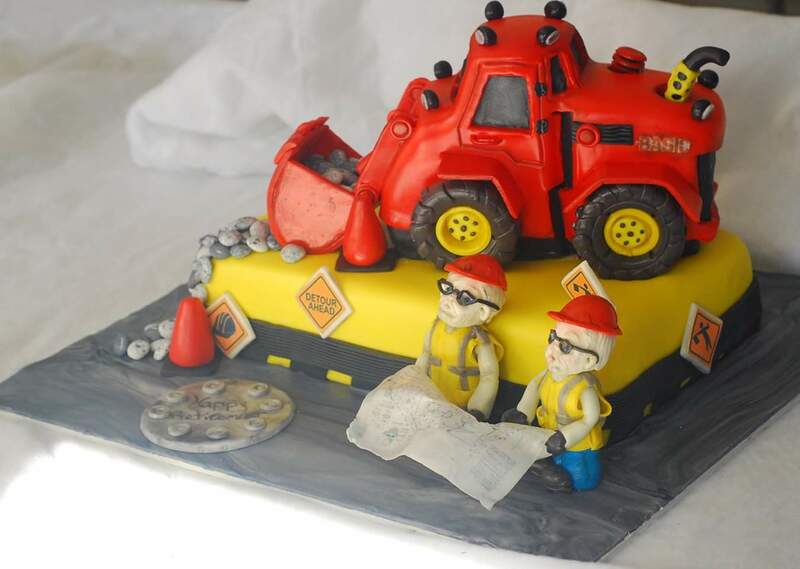 I have no problem with the outside fondant cause that could be peeled off as many people do anyway on cakes. My question would be what could I use to coat the cake instead of ganache? I thought of peanut butter again but that never really hardens up like ganache. Perhaps it doesn’t matter??? Any suggestions that you have would be most appreciated. If you add some white chocolate to peanut butter it will set. I dont know how much , you have to do some trials. Just wondering if all of the small accessory type parts could be made from pastillage instead of strengthened fondant and if there is any reason why the strengthened fondant might be better? 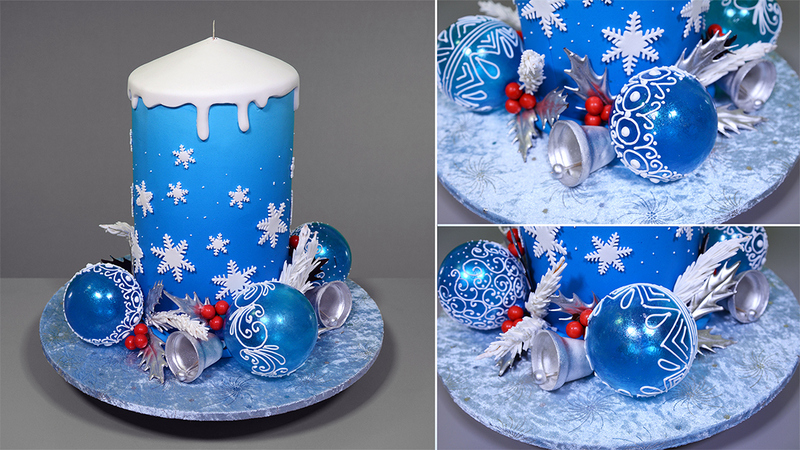 I’m about to try making this cake soon and after watching the tutorial have a couple of questions please. I understand that the “hardened fondant” you are referring to is achieved by incorporating ~20% of icing sugar into normal rolled fondant. 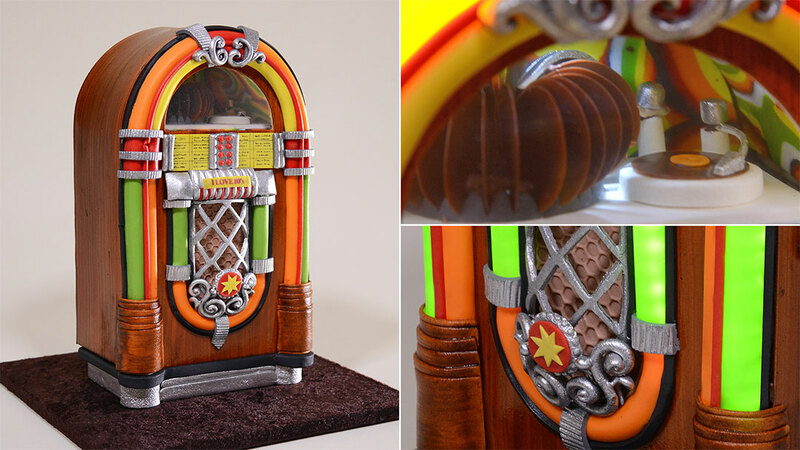 With this there is no increased risk to have cracks or “elephant skin” on the fondant when it dries out? Won’t it be better to incorporate some Tylose/CMC powder instead? In what ratio? Besides that, could you please tell me if the “egg yellow” fondant you used was bought pre-mixed or you made it with tinted white fondant? I am in Hong Kong and can get hold of Satin Ice rolled fondant. They sell it in yellow but it isn’t quite the same shade. Can the Satin Ice yellow be transformed to the “egg yellow” you used somehow? Yes you can use tylose but with icing sugar it dries harder. I would say use both 10 % icing 0.5 % tylose. Just add a dot of red to yellow to achieve egg yolk. Thank you so much chef! Looking forward to trying this case soon!! Would the white chocolate ganache hold up as well as the dark chocolate? I’m making this for a birthday party and worried kids might not love dark chocolate ganache. Yes . Use my recipe. 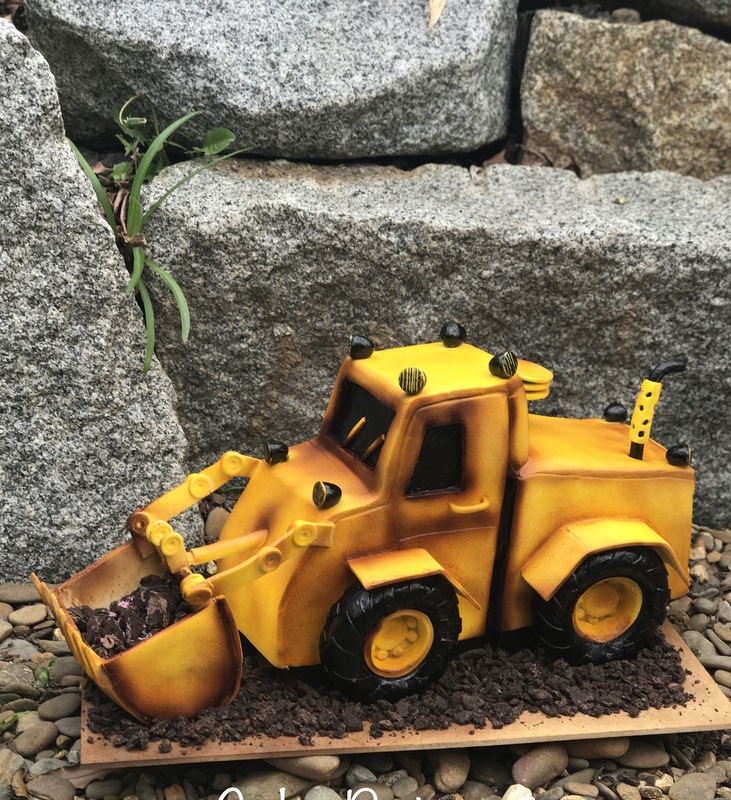 hola soy de argentina quise comprar el tutorial de la excavadora pero al ir al pago me muestra cero como puedo hacer? me ayudan por favor gracias!! Hi Claudia, please contact us via the contact form and we will troubleshoot any issues with you via email. Thank you. Hola Claudia, póngase en contacto con nosotros a través del formulario contacto y solucionaremos cualquier problema con usted por correo electrónico. Gracias. 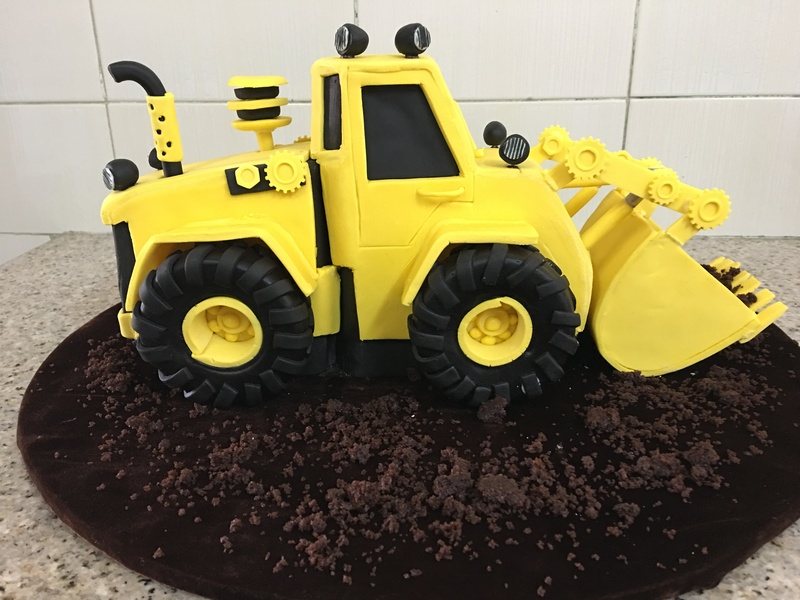 Hi chef, I need to make a big size to feed 150 people and need this cake to be big .how do I use measurement and cut out these sizes of bits and join ? What’s the best way to do ? 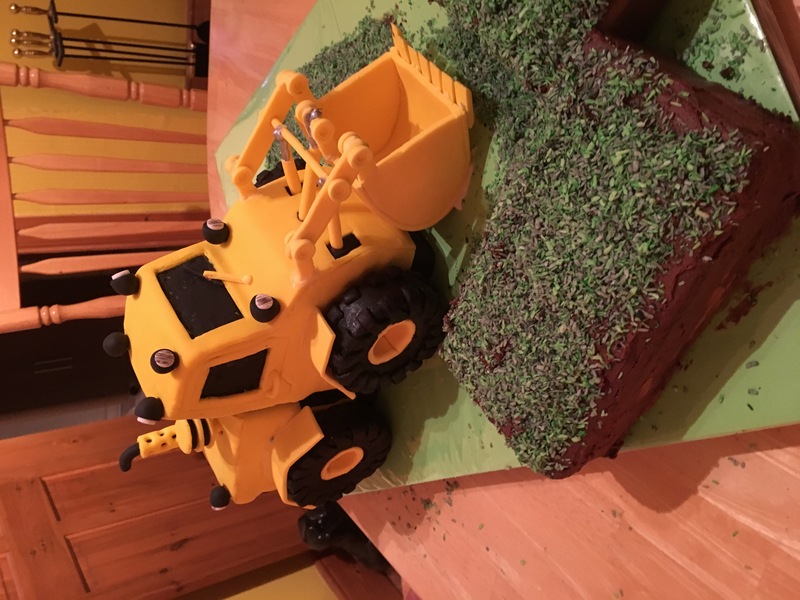 Chef can we cut out that we need to make the lines for doors, windows out of the templates and make those indents using that as a guide to make the markings on the digger cake? Yes, it is a good idea to make both side same. 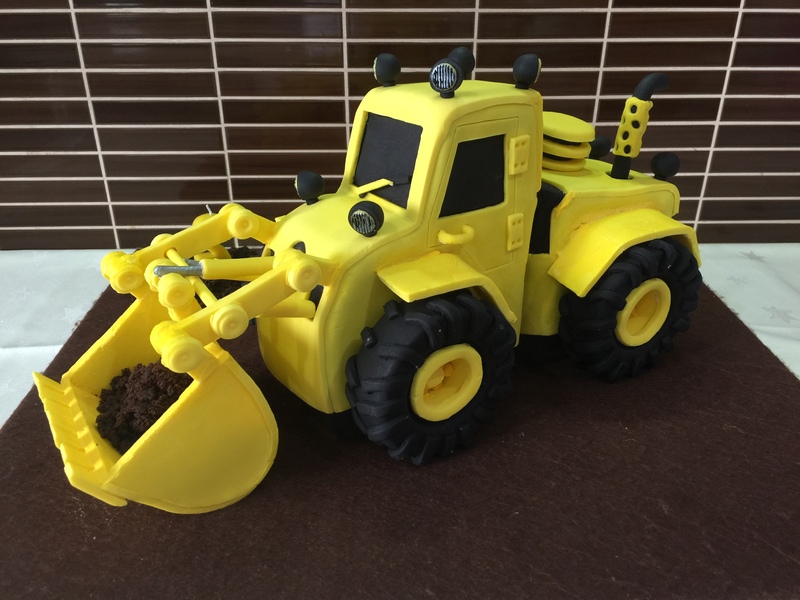 Chef Yener , When assembling the 3D Digger in the video you are using a paint brush to clean out the joins when attaching with royal icing. The liquid in the jar, is it egg white or water? Hello Chef Yener , Is there is a replacement for chocolate spray as it is not available in Kenya? Ask your dentist. Maybe spray coolers before the needle will help you. It is sprayed in the mouth so should be safe . Don’t use too much. Hello Chef Yener , I don’t know where I can buy the spray ice I’m in Canada , is there is a replacement for chocolate spray if I cannot find it here? this is so amazing! However the part 2 video cannot show probably. I’m concerned since my membership will end in few days, and I wanted to watch this before it ends. 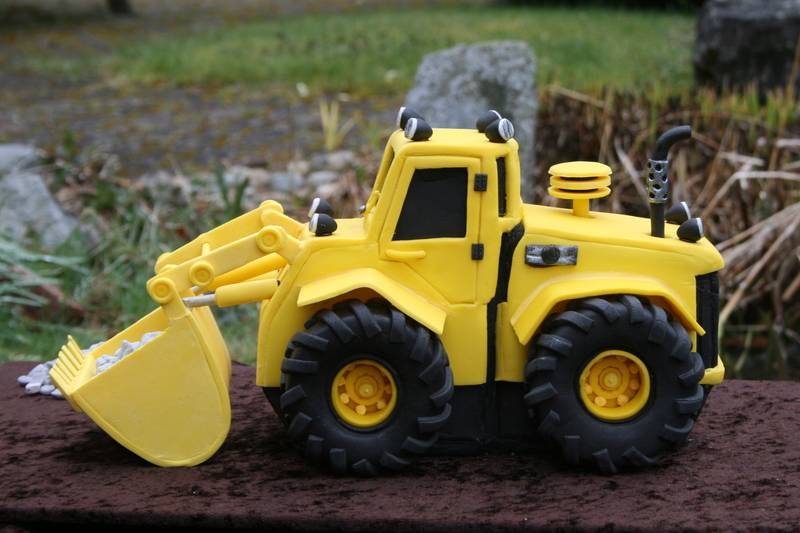 Hi Chef Yener, I’m starting my digger cake next weekend. I have altered the mudcake recipe as per recipe calculator. I’m wondering about how much batter in height should I fill to get it to the 20mm cooked height. I’m using a 23×33 lamington pan which should yield 2 templates. I will just make third template in another pan if I knew how high I might expect mud cake to rise. Please? Cant wait to get it started. Hi MrsSkenno This is my best guess 20mmx230mmx330mm pan needs 900 g for each time. I would do 3kg for 3 pans just to be in safe site by knowing you can always trim a bit. 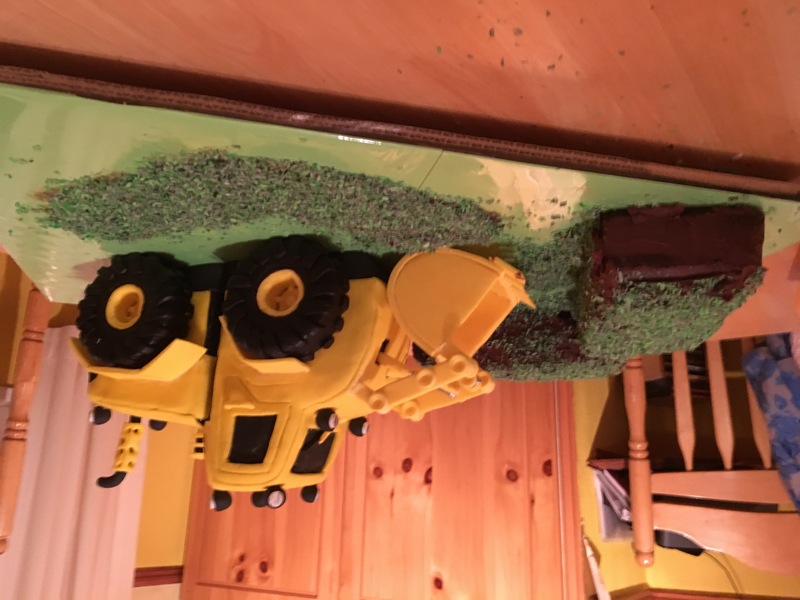 Where do you get your boxes/cake tins to bake the mud cake in to make this cake? What size is best? Hi Tziona I am just guessing 1500 g will do. How much fondant do I need for each colour to make the cake? I’m attempting this amazing cake. 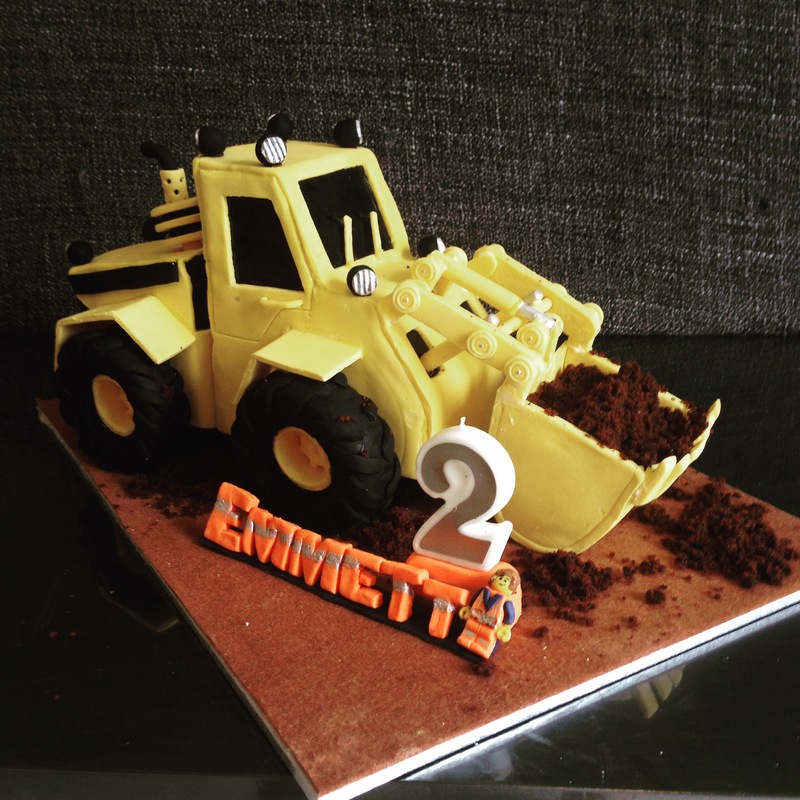 Where can I find a recipe for the chocolate mud cake please? Thank you, found it. I’m now confused over how much I need to make and how to use the calculator. 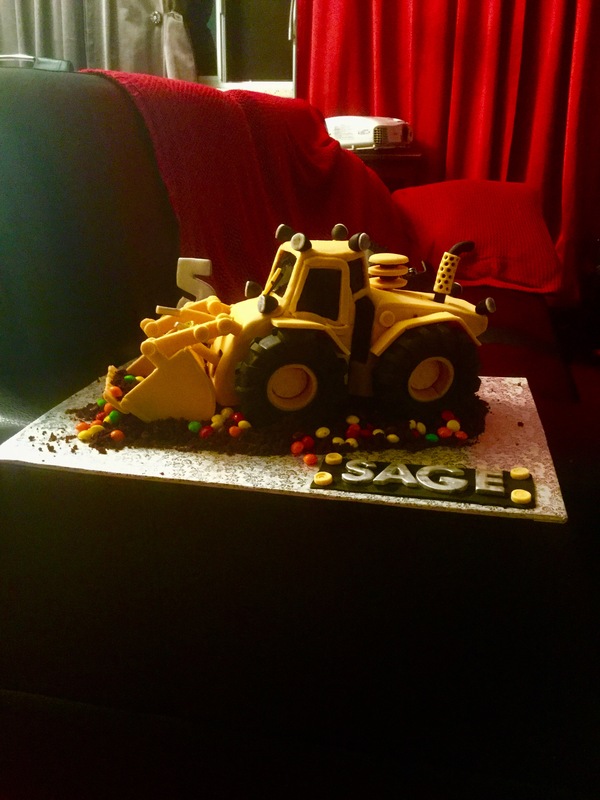 The digger cake say 1500g mixture. Would you mind explaining how I ensure I get 1500g mixture? Hi chef, I do have a question. How many inches wide and how many inches tall is your cake when stacked, right before you ganache it. Thank you. Hi Chef Yener, I have question regarding the fondant. 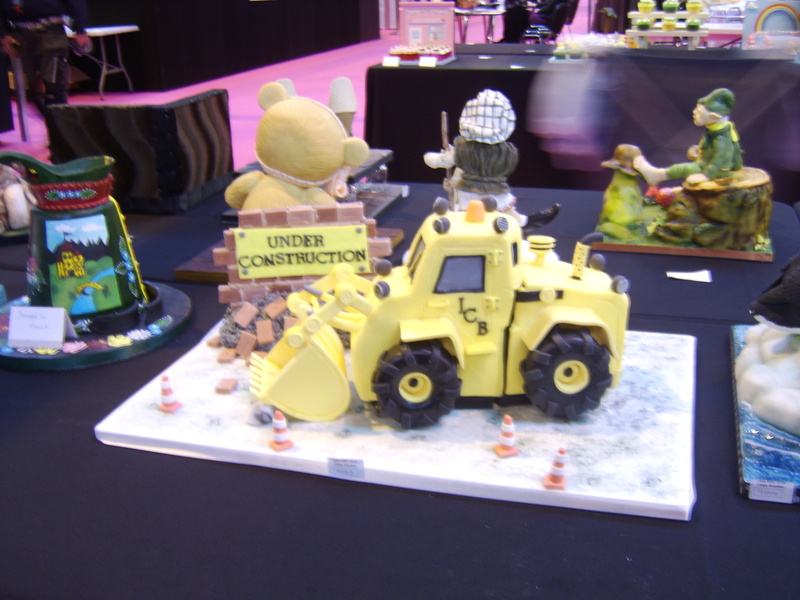 To help in the process of getting the pieces to dry faster, what do you add to the fondant? When you say icing sugar, do you mean powdered sugar? Thank you in advance for your response. 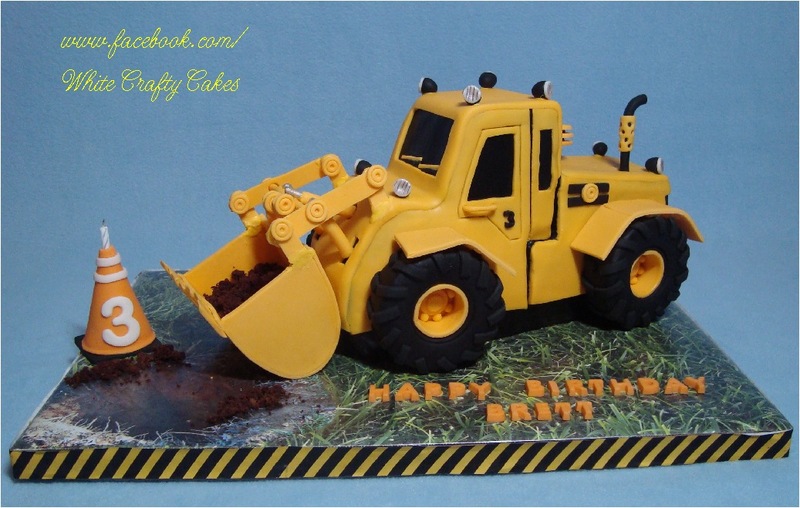 I really want to make this cake for my digger obsessed son’s birthday. 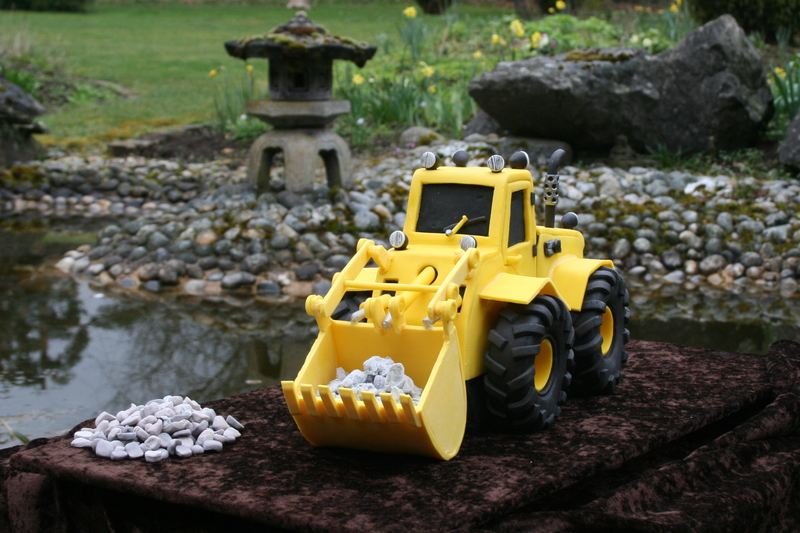 but I have two very young children so cant spend long periods of time making it. can the separate parts be made and stored? if so for how long and what is the best way of storing them? Hi Tina you can do all the parts as early as you wish . they will get nice and dry. 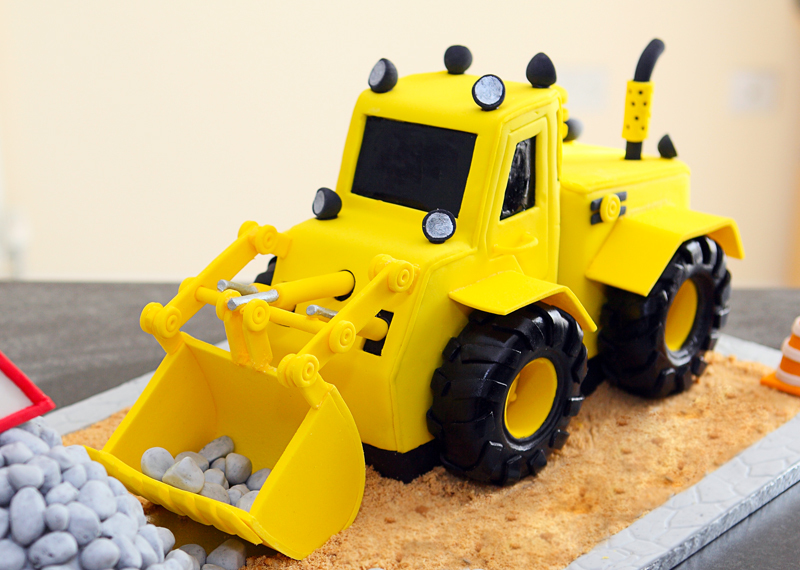 Making the cake will be even more easier. I watched this tutorial and was mesmerized. I couldn’t take my eyes off of the computer. You Yeners are so talented. It is a gift from God. Thank you for sharing. Thanks Margie. Ganache is the mixture of cream and chocolate . Dark chocolate twice more then the cream White is 3 times. Butter cream, or icing or frosting this is confusing part. It is all about how much more icing sugar you use with Butter. Depends what are you going to do wit it .Inside the cake 2 times, out side the cake we use more to get crust some times go up to 4, 5 times. 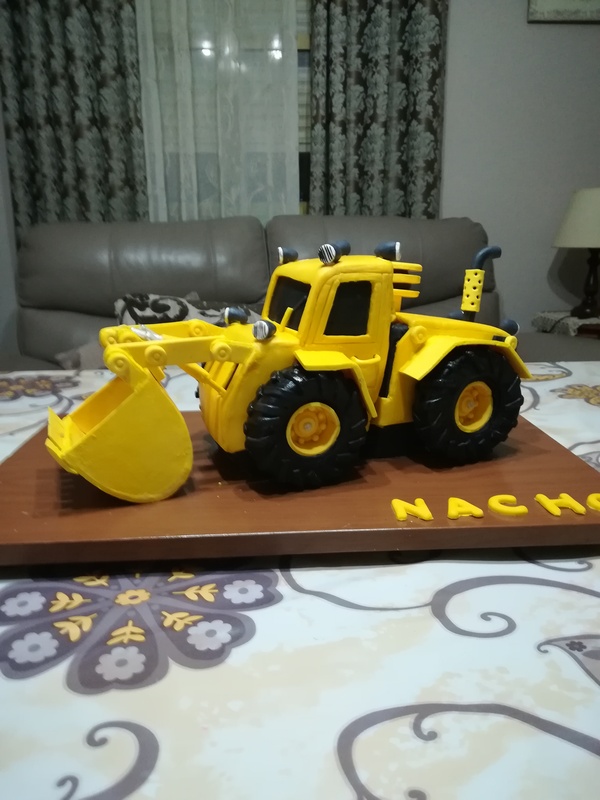 Hello im on the process of making this cake for the weekend all parts are done already my only worry is how to attach the scoop to the cake at the end as i dont have the chocolate spray you are using will still the chocolate firm up quickly? (My house temperature is 20 degrees) Can i use something other then chocolate to stick those parts and keep them firm? 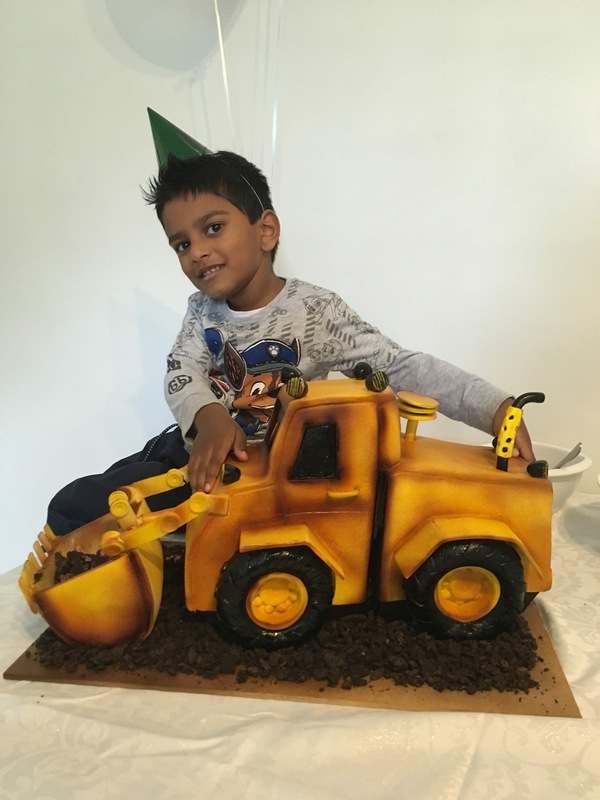 Can i place the digger on top of another leveled cake and assemble it there? Hi Sylvie You have to us chocolate for quick result or royal icing for next day delivery. best thing to do. 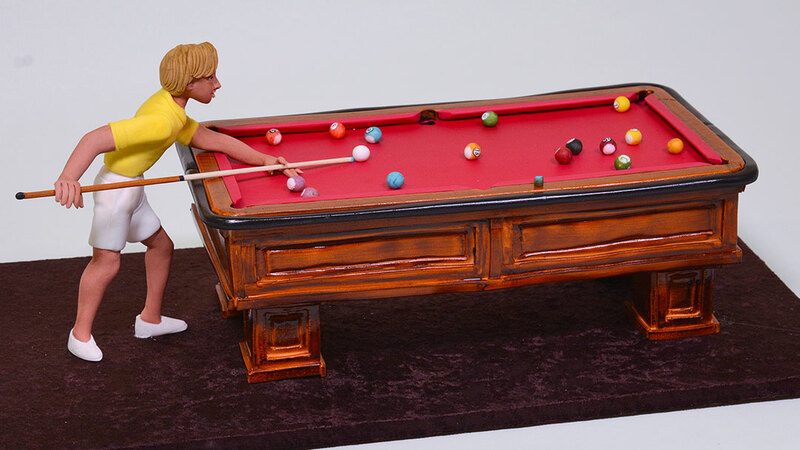 stick the scoop on the base or on the surface of the cake with chocolate first so all others can be attached to it. Thank you so much! You’re the best i admire you! Thanks for answering so quick! This is amazing! Can you though use buttercream to replace ganach in this cake? Thanks a lot! Hello chef Yeners. It is my pleasure to meet you. I saw you on you tube for the first time the other day. Wow I was impressed by your work. The wedding cake tutorial was amazing. I learned so much from it. I decided to subscribe to your on line classes and I must tell you what an amazing talent you have. May god bless you. I love learning from experts like yourself. thank you so much for sharing your skills with us. And another thing I love how clean your work is and how clean you work if you know what I meant. Looking forward more beautiful work.